COMP Cams Camshaft Tools UNIVERSAL - Lightning Motorsports - Selling Speed since 1996 ! These simple, yet effective handles provide good leverage and a non-slip grip when installing or removing a cam. These tools save time, pinched fingers and nicked cam bearings. COMP Cams carries two styles – one for Chevrolet specific engines and a universal kit. With this tool the user marks the cam lobe with a type of marking fluid (e.g. dry erase marker or dychem), installs the cam, and then places the tool in the lifter bore. Next, the cam will be turned over to mark a line around the cam lobe. The cam is then removed, the distance from the edge of the lobe is measured and finally, shims are changed to achieve the correct lobe to lifter alignment. This tools screws into any 1/4”-20 or 6mm valve cover bolt hole and with the use of a dial indicator (not included), allows you to measure cam lift at the rocker arm, pushrod or lifter. This multi-functional tool can also be used to check rocker ratio, piston-to-valve clearance and even crankshaft end play. This fixture was designed to maintain proper geometry while holding a dial indicator (not included) and 5” extension (included) precisely over the lifters. This professional quality tool is much easier to use and more precise than using a magnetic indicator base when degreeing a cam. 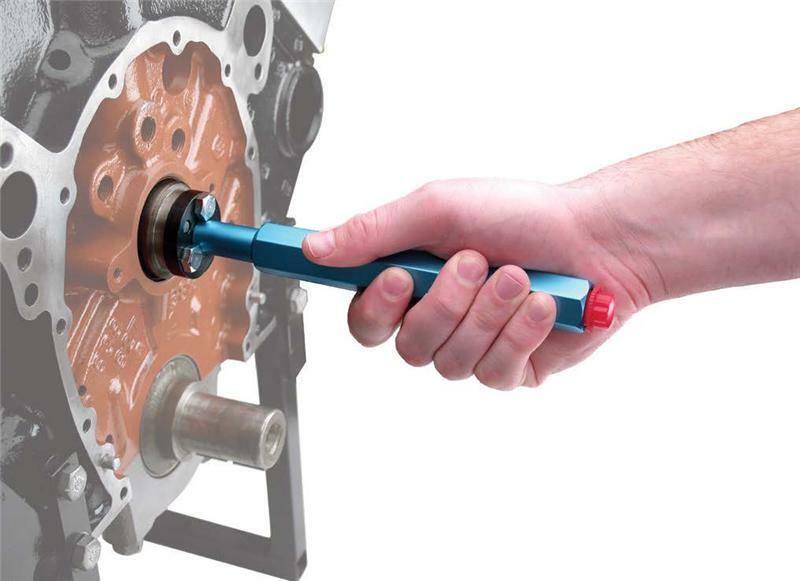 This innovative tool actually slides down into the lifter bore and rides on top of the camshaft in order to measure lobe lift and base circle runout. Each tool includes two followers: one for flat tappet cams and one for rollers. Two models are available, and each is double ended.